He always remembers us on birthdays, and holidays, and special occasions with cards and gifts. We’ve received a lot of goodies sent by mail from Hawaii over the years. Darling little baby shorty muu muus, aloha dresses, t-shirts, surf board clocks, coconut jewelry, macadamia nuts and candies, ukuleles….tons of stuff, mostly from Hilo Hattie, a well known shop of Hawaiian souvenirs and gifts. For years my dad would buy the gifts and take them home to carefully wrap and box them up. Then, he would make another trip out to the post office to mail them. He would take The Bus (Oahu’s city bus) carting around all our soon to be received surprises, excited to be sending me and my family a little piece of home. I remember him faithfully calling me several times a year, asking what sizes the girls and grown into. I could just imagine him in the store, looking at the shorty muu muus, debating on the sizes and the styles, and looking a bit helpless as most men do in a sea of dresses. Then, of course, some nice saleswoman would always come to help him, and he would feel happy he had chosen something wonderful for his grandchildren. The years have passed, and the grandchildren are not so little anymore, but we all still get gifts from him. For the past ten years or so, my dad has had the gifts mailed directly from the Hilo Hattie store in Ala Moana Center. It’s just a lot simpler, as getting around just isn’t as easy for him anymore. I received this box during the first week of December. How like my dad to want to make sure we receive some treats in time for Christmas. I noticed the smashed corner. 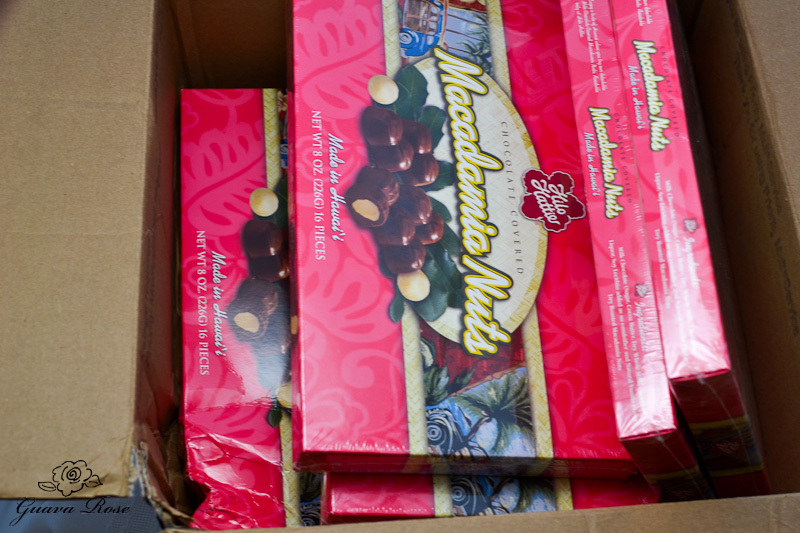 Then I opened the box to find 6 boxes of chocolate covered macadamia nuts strewn around, with one box pretty smashed up and dented in the corner. It’s hard to see from the picture, but there was quite a bit of empty space in the packing box for the candy boxes to slide around. Ooh, no padding? No packing peanuts or tissue? All those boxes just slipping and sliding and shaking around in there across the ocean? I was disgusted and sad. My dad is 89 years old! That’s old! (sorry Dad if you are reading this). He had to take the bus to get to the store just to choose something for us. I can tell gift shopping is getting harder for him because this is the first year he gave the kids a little spending money instead of choosing gifts for them, but he still wanted to send them some candy. 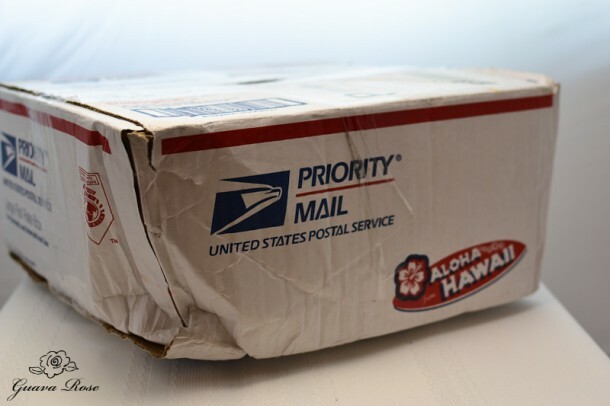 It certainly didn’t look like Hilo Hattie cared about how their products were packed to be shipped, or the condition in which they were received. 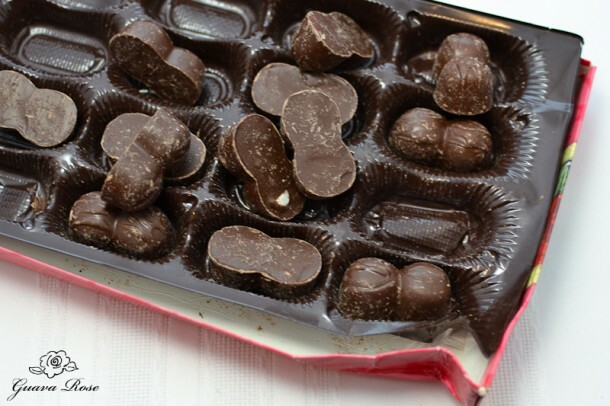 Look at how scuffed up the candies were. What a waste, to have a nice product end up like this. It was kind of gross. I called the store and spoke to an assistant manager. She told me that she could mail me a new box of candy for which they would pay for shipping, but I would have to send in the damaged box and pay for that shipping. Why would I do that? 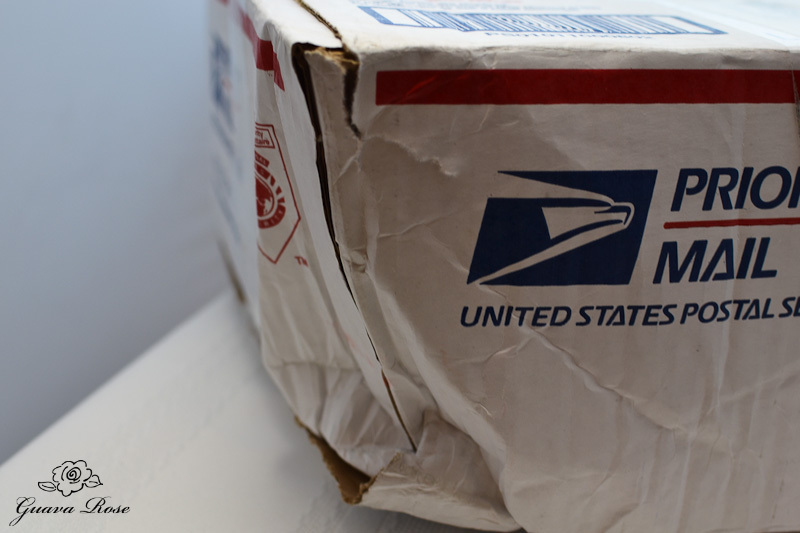 The high cost of shipping wouldn’t be worth it. I knew she really couldn’t offer anything. I really didn’t know what I wanted. When I suggested that the packing staff needed some inservicing on how to pack items for shipping, she said she would “talk” to the person responsible. Then I got mad. My dad paid an extra $15 to have these 6 boxes of expensive candy ($7.49 per box,$5 discount with 6 box purchase) mailed. That’s over $55 just for candy! 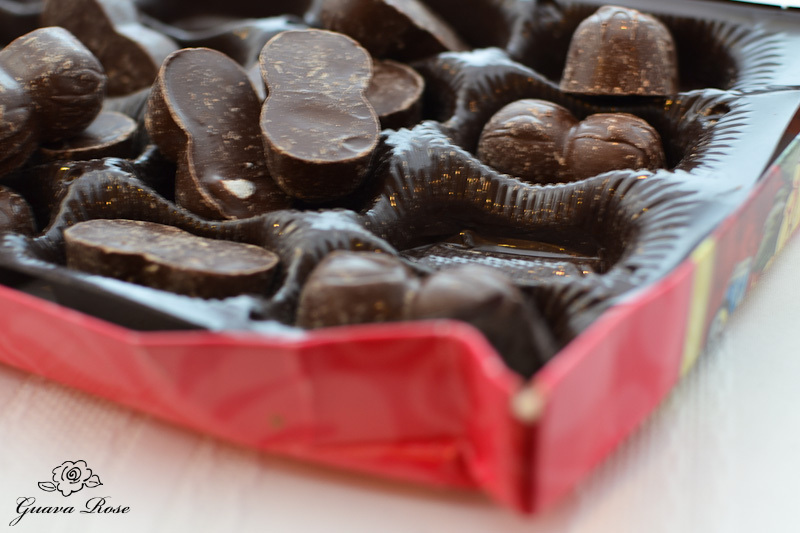 You’d spend less than half of that buying chocolate covered macadamia nuts at Long’s or Costco; you could get one really good box at Godiva Chocolate! But Dad wanted to get it from Hilo Hattie. I was still angry though. So I did what any normal, level headed person would do, I sent an email to Hilo Hattie– the entire management team. Yup, all six of them listed right on their website: CEO; VP/Chief Operating Officer; VP/merchandising; VP/general counsel; VP/store operations; VP/Chief Information Officer. All their emails were listed, and I was sure they couldn’t possibly be aware of what some of their mailed products looked like upon receipt. 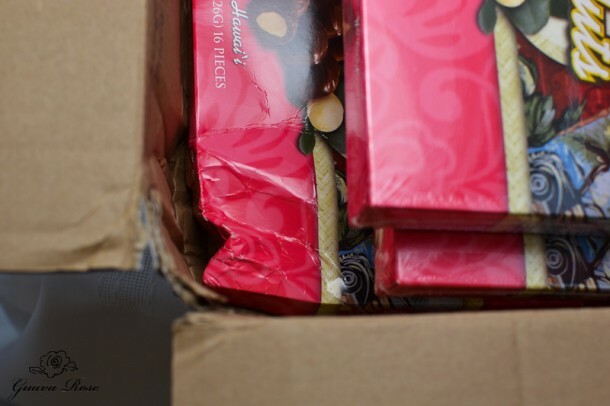 I basically told them about the condition that the candy arrived in, and thought that they should consider inservicing their packing staff, as their nice product is really ruined by shipping it this way. I also kinda mentioned how old my dad is and what a loyal customer he’s been over many years. I hadn’t taken these pictures yet, so I didn’t have them to send, but I did acknowledge they couldn’t just take any kinds of claims without proof. At most I hoped they might give me a merchandise credit which I could use at their online store, or at the very least review their packing procedures. My box didn’t have a packing slip included, so I couldn’t even reference a transaction number– I let them know that too. They say you should wait a day or two before sending out any correspondence written in anger or haste. I tried to be as polite as possible. So I quickly hit the send button and ran off to play chauffeur to my kids.